WAzzuOR Raw is for anyone living in Washington or Oregon that is interested in human consumption meats and/or feeds their companion animal(s) a raw food diet. 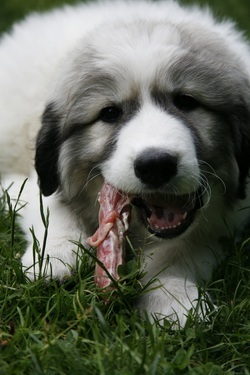 The primary purpose of this group is to combine our buying power to get the best possible prices on human consumption meat as well as bones and raw food for our companion animals. Members are encouraged to keep their eyes open for good deals that may be of interest to our group. All members are expected to volunteer in some manner on the various orders from time to time - unless they join as a non-volunteer member. We have a schedule set up of many of our orders for the coming year allowing you to plan ahead with both your money and your freezer space. We are a very active group with great savings on a large variety of different foods. Please take time to look around and see the various features. While we have a lot in mind, we are certainly open to suggestions to make this an easy to use and informative website. One of the goals is to get a picture of every product we offer. So if you order something, please take a good quality picture and submit it. It needs to be clearly in focus and needs to highlight the product without a bunch of clutter in the picture. For the time being, we will still continue to use Yahoo for posting. So stay tuned for a bigger and better website. Scroll down for current news! Here's hoping 2018 is the best year yet for you and your companion pets. Want to Sh﻿o﻿w Off Your Fu﻿rry﻿ Friend? Share your beautiful pets with us! It turns out that a website, while seems fairly reasonable at first, is quite an expense. Every time I need to add a feature, it is another monthly fee. So, in hopes of not having to raise membership dues, I would like to offer a coveted spot on our website for a picture of your furry friend(s). The picture needs to be horizontal, in focus, and not cluttered. They can be of a single pet or a pack. The picture will stay on the website for a quarter (three months) for just $5. Send your pictures to WAzzuOR–Raw@comcast.net. We look forward to your pictures! We have now started posting the Transport Charts on the website. Hover your mouse over Calendar, then click on the appropriate Transport Chart. You will be able to view the chart and if everything looks correct, you will be able to indicate that right there on the chart. If a change needs to be made, you will still need to email Debbie. So for your next delivery, check it out! Pay on our Website using "Pay Here"
You may now pay for your order directly from our website. And it only costs 75 cents! No more worrying about the postal service being slow or your check getting lost in the mail. No need to set up any kind of account. Just check out as a guest. It does take one to two business days for the payment to process. But if you need a quicker payment, there is an "Instant" option that in most cases is much less than PayPal fees. To use this option, hover your mouse over Orders and click on Pay Here. Please note: That system works best with Google Chrome. Works with other browsers as well however, sometimes has trouble with the newest version of Internet Explorer. Why the name WAzzuOR Raw? We often get asked about our name. Raw – of course that's what our group is all about! Put it all together and you get WazzuOR Raw. Pronounced Wazzu OR Raw. As Paul Harvey used to say, "and now you know the rest of the story". We are constantly updating and upgrading our website to include everything you need to easily participate in obtaining quality food/supplements, treats, etc. for your pet and you! Our newest information is under the Member Information tab. Hover your mouse over Member Information and click on Website Instructions. This includes information on where to find everything on the website. It also gives very specific instructions (including screen shots) on how to do everything possible! We are working to get this complete.....but check it out now. There is a lot of information now and more to come! We have added a new "FAQ" section our our website. I think it will be very helpful. Please check it out before asking questions. Thanks! Last year we added close to 10,000 new products. Watch for even more exciting product opportunities this year. We have purchased and installed a brand new walk-in freezer. This will be a big help to all group members. It allows us to get and store various orders in advance so we can combine even more orders together so you can pick up more of your products all at one time. In addition, it is available for members to store frozen items when out of freezer space or unavailable to pick up an order on delivery day. See below to learn how they are associated with WAzzuOR Raw. Update: March 20 As you probably know, March 22 is the one year anniversary of the tragic Oso mudslide. This anniversary is a very difficult time for those that were affected by the slide. In hopes of helping in at least some way, we delivered a large gift box of goodies, toys and bowls for the dogs and a beautiful flower arrangement for the people. They each asked that we pass along their thanks and love for each of you who so graciously helped them through our group throughout the year. They are so appreciative. Our thoughts, prayers and love continue to be with rhe Oso families. Update: Dec 22 Thanks to all our members that are continuing to help the Oso dogs. Gift boxes with food, toys and treats have been delivered for Christmas. Here is a picture of Tim and his beautiful dog Blue who both survived the Oso mudslide and have been working very hard to recuperate from their injuries. Thanks to Julie Austin for taking some wonderful pictures for us. Below are Oso survivors Julie, Cory and Buddy. Thanks to Julie Austin for the photos. WAzzuOR Raw and its members have committed to helping the Oso dogs for a full year. So far we have supplied them with 1,500 pounds of food, mounds of toys, treats, beds, bowls, collars, leashes, grooming items....and the list goes on. Unfortunately, they have all needed medical treatment which we are helping with as well. We have helped with the medical expenses (including prescription medication) as well as making arrangements for hydrotherapy treatments, medicated baths and more. In total we are helping 18 dogs that were directly affected by the slide. A few of our members treated six of the dogs to wonderful baths followed by grooming, a thorough check up and a heap of love. Blue with some of the toys, treats and bones we delivered recently. Blue with one of his new toys!